The Humble Monthly for February released Friday, February 1 at 10 a.m. Pacific time, which means it’s time for new Early Unlock games! 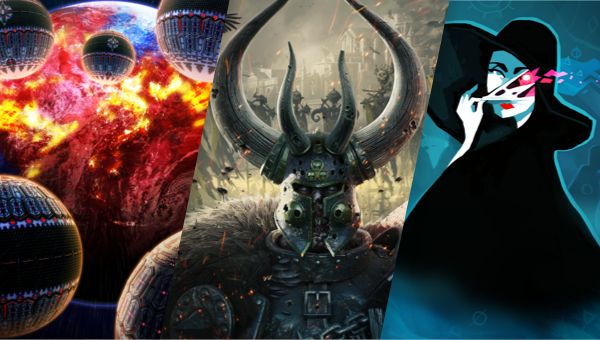 The Early Unlock games for March are Warhammer: Vermintide 2, EARTH DEFENSE FORCE 4.1 The Shadow of New Despair + all DLC, and Cultist Simulator! Get these games right away with a $12 subscription to Humble Monthly, plus more games to come on Friday, March 1 at 10 a.m. Pacific time. The charity supported by the March Monthly bundle is the Comic Book Legal Defense Fund. Don’t forget that you get $10 for each new Humble Monthly subscriber that signs up with your partner link! February Humble Monthly subscribers received Yakuza 0, Tom Clancy’s The Division™ + Survival DLC, Rapture Rejects, Sniper Elite 3, Rock of Ages 2: Bigger & Boulder™, Full Metal Furies, Aaero, Bleed 2, Super Daryl Deluxe, and a new Humble Original, after HOURS. Humble Monthly is a curated bundle of games sent to your inbox every month. Each month offers over $100 worth of games for just $12! Every game is yours to keep, and 5% of each month’s proceeds support charity.